Home » Root Matters » Is it hard to grow avocado trees indoors? An avocado themed Q&A with Horticultural Expert John Dhanens. Say the word ‘avocado’ and I think pretty much anyone will stop and ponder a fond memory of how utterly delicious they are. 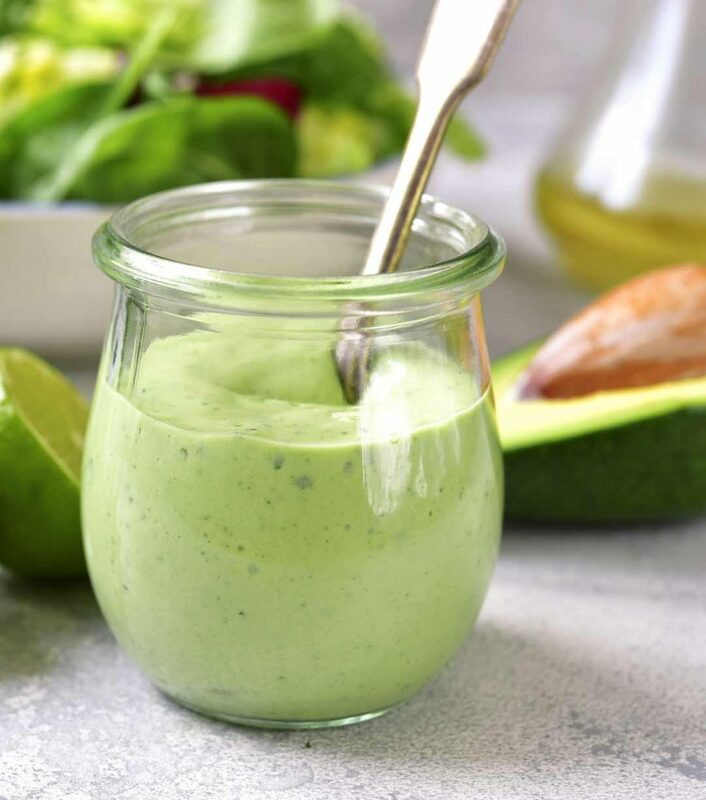 Whether you want to spend the extra pocket change to add one to your sandwich from Subway, or want to splurge with a plate of tasty nachos and guacamole out to dinner with friends, can you really go wrong having some avocados in your fruit bowl every day? I would say no. But…. we’ve all been there. Friends coming over, dinner to fix, quick trip to the store to dig for that perfect avocado to top your dinner salad….and when you get home, its either too hard or black in the middle, now money down the drain and no avocado to eat. Bummer! Both on the money wasted and the fruit you now don’t have. There is a way to solve this all too often dilemma, and that is to grow your own, but before you tell me you live in an apartment, your weather is too cold or your soil is too bad, read on. What type of soil should I use? What type of container should I use? How often should I water an indoor avocado tree? Will these tips work in a colder climate? Should I tweak the thermostat to help my tree? Why is my avocado tree losing it’s leaves? Do I need to leave the lights on for my tree? Avocado trees can easily be grown in a container for many, many years. They are not ‘hard’ to grow, but just ‘specific’ with their needs. They like a soil that is loose and rich, and the best way to meet this demand of an avocado tree is to use good quality potting soil purchased from a ‘real’ nursery if you can. Try to avoid the bargain stuff from a chain store, but in a pinch it will work. Use no soil from the earth, just the bagged stuff. When choosing a container, do not be tempted to place your new five-gallon tree into a HUGE container so you never have to transplant again – too hard to properly water and too heavy to move indoors in the cold when you need. Its best to choose a container 4-6 inches wider and 6-8 inches deeper than the tree you’re transplanting. For a five-gallon tree, I would suggest first up sizing to a 16 to 18-inch plastic container. Ceramic or clay would be super attractive, but also heavy to move around. Upsize again the same way when this container gets root full in about two years. Clip to shape, timing your pruning so most of your cutting is done before your tree makes flowers so you don’t cut off your crop. How often to water an avocado tree is another question that can be so elusive. Some plants in your garden are thirsty, so you know to keep the hose on them almost all the time and you’re good. Others, you can go away for a weekend and it’s like you never left, the soil dry as a bone and it’s not even fazed; avocado trees have water needs actually somewhere between these two scenarios. Let me explain. An avocado tree likes to be consistently moist, never soggy or dry. Remember this tiny bit of info and you’ll be swimming in guacamole before you know it. What that means is that if you pick up a small pinch of soil, is it moist? If so, you’re good! If you pick up another small sample of soil, can you squeeze or wring water out of the soil? If yes, not good (unless its within a few minutes of its irrigation). Able to squeeze or wring water out of the soil means all the pore spaces between the soil particles are filled with water and not oxygen, as actually too much water really means too little oxygen. Do not let the soil completely dry out either. If dry down to the first knuckle, water! Please re-read paragraph two above about choosing a REALLY good potting soil, as if you have a good soil in your container, this will allow any excess water to drain away fast and your tree will be happy. Now before you say I live where winters are brutal so I’m can’t do this, let me say: “You can.” I’ve talked with lots of folks who are growing avocado trees indoors – you just have one more thing to be attentive to. Before you panic, its quick and easy and you can do it on any commercial break from any show you may be watching (except for the Super Bowl where the commercials can sometimes be better than the game). To my cold weather friends – on your to do list is to get a small spray bottle and keep it near your easy chair. Once or twice a day, spritz the foliage and branches with water to raise the humidity right near the leaf surface of your tree. Your tree will love you, so much so that you will see more fresh avocados come harvest time. 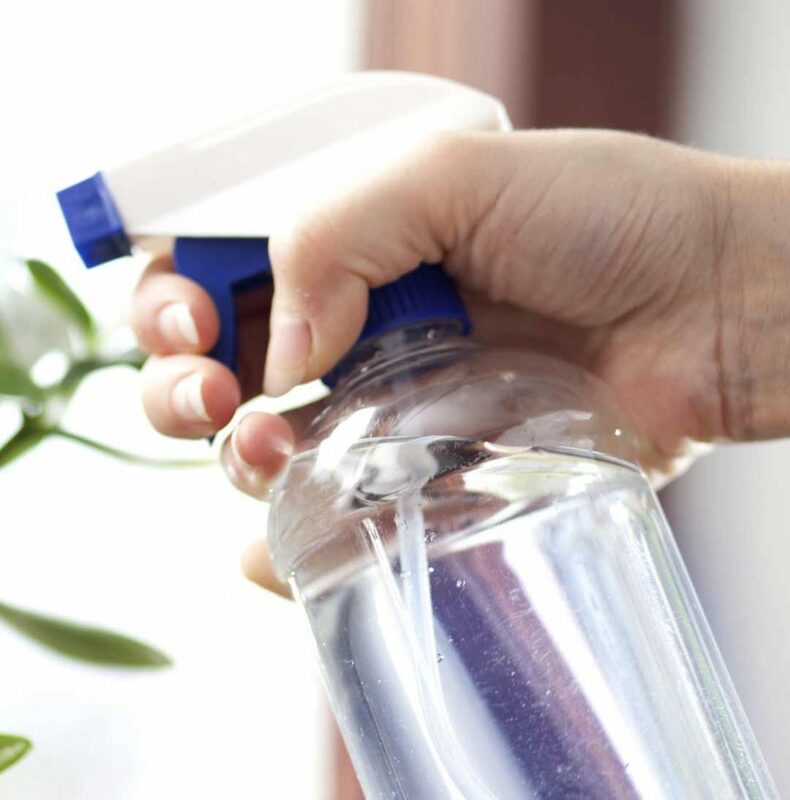 …Get a small spray bottle and…Once or twice a day, spritz the foliage and branches with water to raise the humidity right near the leaf surface of your tree. Indoors in the winter with heaters cranking, the air gets so dry, something avocado trees aren’t really fond of. On the subject of heat, you don’t need to keep your place excessively warm, just do NOT place your tree anywhere near a fireplace or in the direct path of a forced air heating vent. Across the room is fine, or even (if you have one) in a room you’re not using with the vent closed. Please consider having the tree only indoors for the winter while a little guy, outside on porch, patio or deck during the season. Your tree will establish better if you can. Once your tree is truly established and used to living in its new locale with you, then indoors 24/7 is fine if conditions are attended to. If you live in a location where the winters are not super severe, but you do experience some frost, roll the tree into a garage, shed or barn for protection, and then back out again when you can. If your tree ends up staying many days to weeks in a barn or garage, be sure your garage has windows for light or supplement with a grow light. I’ve saved the best for last (kind of), and that is leaf drop. Brace yourselves… here it comes… you WILL get leaf drop each and every week of the year no matter what you do. Period. Okay, I said it, now let me explain. Kind of like the hairs on your head or the colorful leaves you see on deciduous trees every autumn, when ‘something’ has served its purpose for the organism and its useful lifespan has been met, out it goes. Would you want an old tired leaf supporting your tree? Or would you want a tree with young, vigorous leaves ready to charge forward and support lots of growth. A tree that goes completely dormant drops all its old tired leaves all at once in the fall, and then they come back all at once in the spring. An avocado tree drops its old tired leaves s l o w l y…. a few come off every week to make room for a few more to come and take their place, the tree constantly invigorated. Every so often, just pick them up and toss them away, no-harm-no-foul. IF leaf drop appears excessive (you lose more than you gain) then contact us or your nursery professional. If your tree can be kept outdoors most of the year, cool! If it ends up needing many months indoors, you may want to consider either placing your tree in a room with lots of natural light or grab a Grow Light on-line or from your local nursery or greenhouse. Just follow directions. I’ll never forget a phone call I received from a gardener in New York city. He was doing well with his tree, but felt it needed more light (good call). But he placed the light inches from his tree and fried it from the excessive heat given off from the bulb. Don’t do this. I want you to enjoy home grown fruit succeeding with our trees. That way you’ll tell a friend about our nursery and everybody will be happy. Until next time…. Nice tip about spraying the leaves of the tree and thanks for the info about leaf drop. I had no idea! I’m excited to hear you can grow avocado trees in a pot and inside! I love avocados and have been considered planting one.